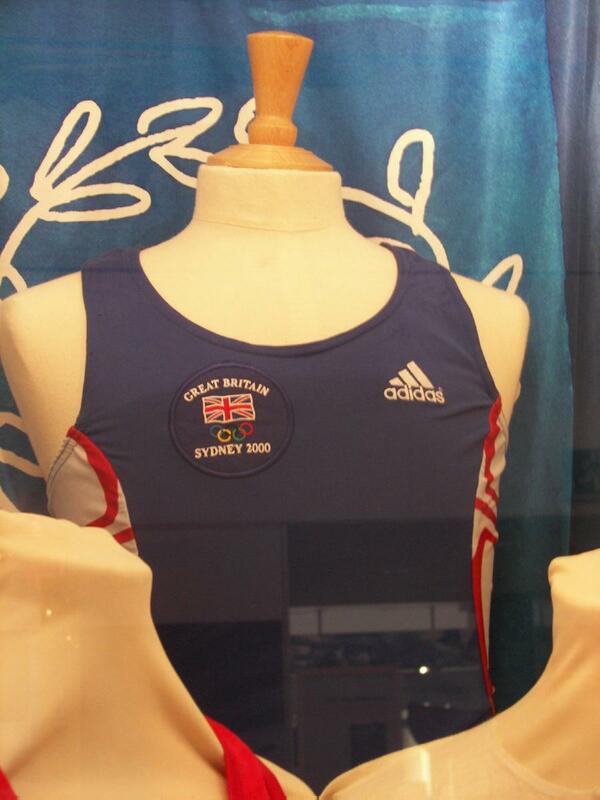 All-in-one worn by Guin Batten (bow) in the GB women's quad at the Sydney 2000 Olympics - it was the first ever GB women's all-in-one to cross the finish line in a medal-winning position. An Olympic all-in-one does not normally have an embroidered badge stitched to the front. This one only does because the original GB flag design on the costume had the red and blue the wrong way round!